Pittosporum ‘Mojo’ is an easy-care evergreen shrub with creamy yellow variegation on the leaf margins and a compact size that’s perfect for urban landscapes. While not conspicuous, the tiny white flowers smell of orange blossoms. Reaching roughly three feet high and wide with a naturally mounding habit, this little beauty requires minimal maintenance. Plants will grow best in part sun, part shade locations. 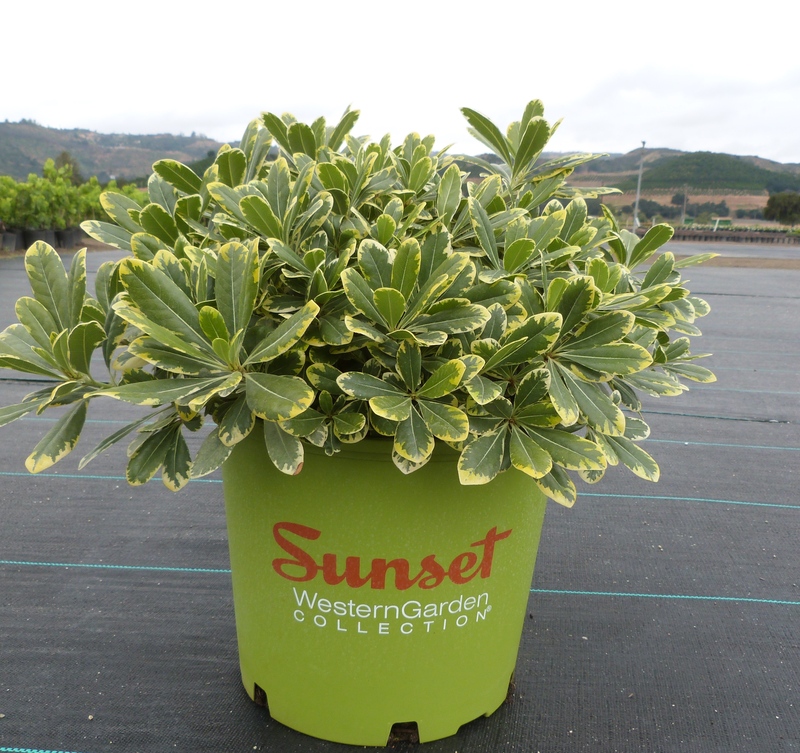 In hot climates you may find that variegated Pittosporum may suffer some foliage burn when planted in afternoon sun. Plants prefer a good quality, well drained soil mixture with plenty of organic matter, but will also tolerate somewhat less fertile conditions. Once established, only moderate watering is needed as long as it is fairly consistent. No pruning is necessary, but it can be shaped after spring bloom. Apply a balanced fertilizer once or twice a year in spring and early fall. Suffering very few problems with pests or disease, this plant is deer resistant and can also tolerant salty coastal situations. Use as a low hedge, as a container specimen, in a mass planting or as evergreen structure in mixed perennial borders. The foliage looks beautiful when used in cut flower arrangements.